Parenting kids is no small task. Infants are often looking for you to take care of them. Children often unravel under stress and complain when they don't get their way.  Teenagers are often critical or egocentric. But aren't we all a little like that too? The younger generation needs an older generation who is emotionally mature enough to lead them towards growth. 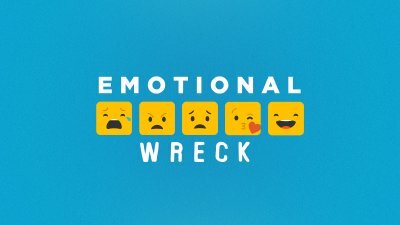 In the last week of our series, Emotional Wreck, we are talking about our emotional journey and maturity as adults in light of those who are coming up behind us. Emotions are a funny thing. Some love to sit and talk about their feelings, while to others it’s the last thing they want to talk about. Regardless of our preference we have to pay attention to what’s happening in the deep places of the heart. Failure to do so will wreak havoc internally and relationally as well. In week 7 of our series, Emotional Wreck, Pastor Gabe concludes teaching on how to trust in a process that is unfolding behind what we see, that will lead to greater levels of emotional and spiritual clarity and maturity. Emotions are a funny thing. Some love to sit and talk about their feelings, while to others it's the last thing they want to talk about. Regardless of our preference we have to pay attention to what's happening in the deep places of the heart. Failure to do so will wreak havoc internally and relationally as well. In week 6 of our series, Emotional Wreck, Pastor Gabe continues a discussion on the mysteries of life, and how to trust in a process that is unfolding behind what we see, that will lead to greater levels of emotional and spiritual maturity. Emotions are a funny thing. Some love to sit and talk about their feelings, while to others it’s the last thing they want to talk about. Regardless of our preference we have to pay attention to what’s happening in the deep places of the heart. Failure to do so will wreak havoc internally and relationally as well. In week 5 of our series, Emotional Wreck, Pastor Gabe teaches on the mysteries of life, and how to trust in a process that is unfolding behind what we see, that will lead to greater levels of emotional and spiritual maturity. Emotions are a funny thing. Some love to sit and talk about their feelings, while to others it’s the last thing they want to talk about. Regardless of our preference we have to pay attention to what’s happening in the deep places of the heart. Failure to do so will wreak havoc internally and relationally as well. In week 4 of our series, Emotional Wreck, we continue our journey towards greater emotional health and stability. Emotions are a funny thing. Some love to sit and talk about their feelings, while to others it’s the last thing they want to talk about. Regardless of our preference we have to pay attention to what’s happening in the deep places of the heart. Failure to do so will wreak havoc internally and relationally as well. In week 3 of our series, Emotional Wreck, Pastor Gabe continues our journey towards greater emotional health and stability. Emotions are a funny thing. Some love to sit and talk about their feelings, while to others it’s the last thing they want to talk about. Regardless of our preference, we have to pay attention to what’s happening in the deep places of the heart. Failure to do so will wreak havoc internally and relationally as well. In week 2 of our series, Emotional Wreck, Pastor Gabe continues our journey towards greater emotional health and stability. Emotions are a funny thing. Some love to sit and talk about their feelings, while to others it’s the last thing they want to talk about. Regardless of our preference we have to pay attention to what’s happening in the deep places of the heart. Failure to do so will wreak havoc internally and relationally as well. In week 1 of our series, Emotional Wreck, Pastor Gabe invites us on a journey towards greater emotional health and stability.